Ah 2015, a new year, a new chance to do things right. This year life is going to be better, this year I’ll do everything I’ve dreamed of, this year is the year of great changes! Sound familiar? Maybe you said that this year, or at the start of 2014, or 2013, or every year prior. It’s okay, we all make resolutions, even if we aren’t the type of person who makes resolutions. There’s just something about the New Year that inspires us to make a fresh start and shed all of the hardships from the previous year. We have a real sense of optimism and almost feel re-energized. It makes sense for us to feel this way. We go out with close friends on New Year’s Eve, stay up late celebrating with cheers and hugs and kisses. Heck the first word most of us say every year is ‘Happy.’ We told all our friends about the big changes that were coming this year and that made us feel pretty damn good. We woke up the next morning with a hopeful smile, ready to take on the world. So how come the vast majority of us never seem to follow through on our resolutions? How come we start out so optimistic and full of piss and vinegar, only to end up in the same old routines two weeks later? We say ‘I did my best,’ and ‘I really did stick to it for awhile.’ We really don’t feel so bad, after all, most people don’t keep resolutions, they’re silly anyway. It’s really hard to stay on top of all this, I’ll make some more realistic resolutions next year. Here’s what Happened: We set goals in an unrealistic way. We chose multiple big goals and had no plan in place for how we would implement them, track them, and reflect on them. We actually made stupid goals. We aren’t stupid, just optimistic, and big goals make us feel like our lives are heading in the right direction, even when we have no plans to follow through. Telling every single person about the great things we are going to do feels good. Our friends are just as optimistic and believe in us (that’s why they are our friends in the first place). This often has us setting goals that are far too unrealistic. The bigger the goal, the bigger the bragging rights. I wonder if we really ever intend to follow through with our resolutions. I wonder if we just make them so we have something to tell our friends, and ourselves. Maybe we just want to feel good during the holidays, and this is a great way to do it. Besides, when we do fail, it will be quiet, nobody will point out our failures because all of our friends are having the same problem and don’t want their failed goals in the spotlight either. It’s a beautiful setup: We all make big goals, pat each other on the back for making them, and then look the other way when we fail a few weeks later. And then we go and do it all again next year. If I sound cynical, maybe It’s because, to a degree, I am. Perhaps I’m tired of falling into this trap myself. Sometimes I do follow through, but at most the changes last a few months and then sporadically reappear throughout the year. In fact, it seems like the resolutions stick a bit more when I make them on changes in the seasons. Making seasonal resolutions is a better strategy. They fit better with our natural rhythms, and its easier to make changes when there is natural change in the air. Spring and Autumn are huge transition seasons, in weather and in life. Many people start new jobs in Spring and Fall, kids leave and return to school, people leave for vacation and return from vacation. These are much more logical goal setting times. But how do we make goals that we actually stick with? 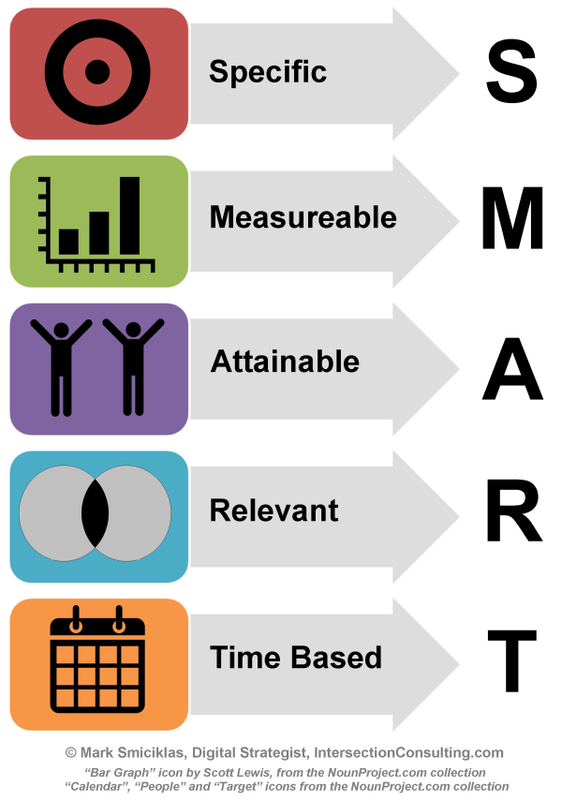 Set S.M.A.R.T Goals. Specific, Measurable, Attainable, Relevant, and Time-based. This is a proven method to stick to the big plans you make. Goal setting is a skill, just like playing an instrument, writing, cooking, or any other objective that requires practice. You have to practice goal setting. Part of learning any skill is failing, so don’t expect to become an expert at setting goals overnight. You will have to adjust your goals. Let’s look a bit deeper at each level. S – Specific: Specific goals give us a clear picture in our head of what it means to succeed. The more vague our goals are, the easier it is to leave them. This is especially true with New Year’s Resolutions. They aren’t specific. “I am going to lose weight.” “I am going to get a raise.” How will you lose weight? How much and how quickly? What is your goal weight? Will you eat well? Exercise? How will you get this raise? How can you work harder? How can you increase productivity? How can you make yourself more valuable to your employer? Make the goals as specific and exact as possible, and you will find they are a lot easier to achieve. M – Measurable: This is the most important part of the SMART goal-setting method. By far. Track. Track precisely. Track daily, weekly, and monthly. You will not succeed if you don’t track. You need to form a habit of doing, of reinforcing the neural pathways that make you think about your specific goal. You need to make tracking easy, and doable every day. A – Attainable: Setting ten small goals is much better than setting one big goal, even if the end result is the same. Why? Because each of the ten small goals is attainable, realistic, and precise. This is a big reason why New Year’s Resolutions fail…. we bite off more than we can possibly chew. Big goals certainly feel better when we set them, but without a real plan for how we are going to achieve them, we simply won’t. Make your goals attainable, and then take the next step with newer and more ambitious goals. R – Relevant: Make sure the goals are something you actually want, not something you tell yourself you want, or worse: something that the world tells you to want. Relevant goals are goals that you are willing to work toward, because you know they reflect your true feelings and your dreams. If you aren’t willing to put in the work, setting the goal in the first place will only make you feel depressed and stuck. 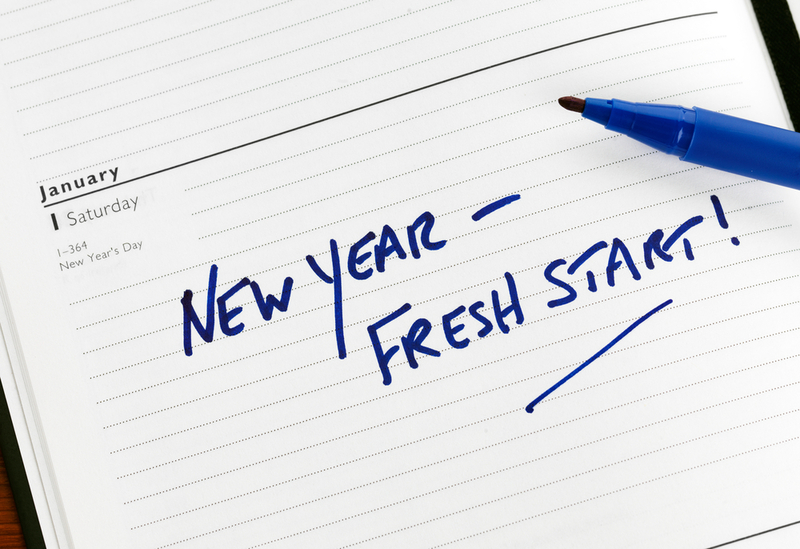 Resolutions tend to be grandiose, but we often don’t really want to put in the work. We say ‘I’m going to make more money,’ without really understanding how we will do it, and not really wanting to put in the effort to better our career. T – Time-based: The final step in SMART goal setting is to make sure your goals have a specific time frame. If anything this is what resolutions do correctly, to a point. A New Year’s Resolution often gives a full year as a time frame. It’s good to set some sort of time-frame, but it has to be realistic, and a year is a long time. Most people who set long term goals that will take them one or more years to accomplish, are practised at goal setting and have achieved many smaller goals. For most of us, a year long goal is far too long. It’s much better to set 12 individual monthly goals and achieve them. This also builds something I’ve spoken about before: Momentum. Setting smaller goals gives you the opportunity to see that you can succeed, and you can make good goals and achieve anything you set your mind to. So this year, if you want to make resolutions, go ahead. But know that they aren’t goals, you probably won’t achieve them, and you may just be doing it to make yourself feel better. 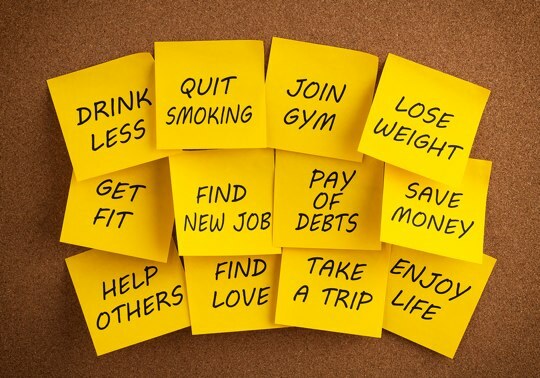 Or you can take those resolutions and turn them into realistic goals, SMART goals. Goals that you achieve and goals that will lead to positive changes in your life. Good luck! And Happy New Year. PrevMoon Rhea Transits Saturn BeautifullyNext2 Million Kph Wind from the Milky Way Core!